The link between gum disease and other inflammatory conditions is well established. Those systemic health problems include heart disease, arthritis, diabetes, and some cancers. Consider breast cancer, for instance. A while back, we looked at a 2011 study out of Sweden in which more than 3200 women in their 30s were followed for more than 16 years. Those with chronic gum disease were found to be more than twice as likely to be diagnosed with breast cancer than those who reported healthy gums. This finding was recently confirmed by a meta-analysis of similar studies published in the Journal of Clinical Periodontology. provided evidence of a modest positive association between periodontal disease and breast cancer. Breast cancer is hardly the only cancer that’s been linked to gum disease. Two other recent studies out of Finland shed light on the relationship between periodontal health and pancreatic cancer. The first, published in the British Journal of Cancer, found a molecular link between a bacterial species associated with gum disease, Treponema denticola, and pancreatic tumors. 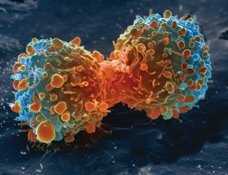 The CTLP enzyme has the ability to activate the enzymes that cancer cells use to invade healthy tissue (pro-MMP-8 and -9). At the same time, CTLP also diminished the effectiveness of the immune system by, for example, inactivating molecules known as enzyme inhibitors. The second study, published in the International Journal of Cancer, followed 10,000 Finns with pancreatic cancer over the course of 10 years. The researchers found that having gum disease made the cancer more likely to be lethal. have demonstrated for the first time that the virulence factors of the central pathogenic bacteria underlying gum disease are able to spread from the mouth to other parts of the body, most likely in conjunction with the bacteria, and take part in central mechanisms of tissue destruction related to cancer,” says Timo Sorsa, a professor at the University of Helsinki. Yet other research has suggested that chronic gum disease raises the risk of a wide range of cancers. For instance, one 2017 study found that women with a history of gum disease were 14% more likely to develop a cancer of any type. The strongest link was with esophageal cancer, which was found to be three times more likely in women with gum disease. The authors also noted increased risk of lung, gallbladder, melanoma, and breast cancer. Smoking, unsurprisingly, increased the risk. Similar results have been reported for male patients. The risk of pancreatic, kidney, and blood cancers was particularly higher for men. The more we come to know about such relationships between oral and systemic health, the clearer it is that attention to your dental health supports your overall health and well-being. Taking care of your mouth is taking care of your body.